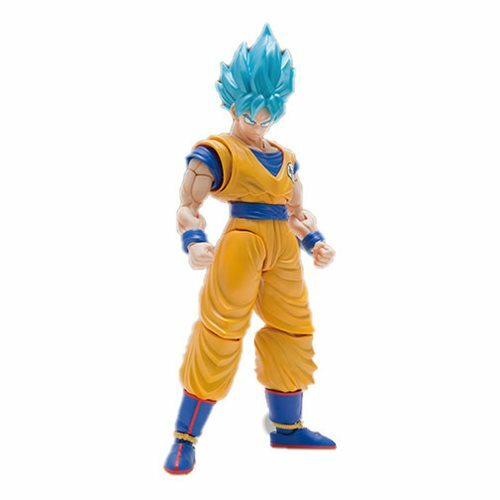 Fans of the hit series Dragon Ball Super will want this Dragon Ball Super SSGSS Goku Special Color Ver. Figure-rise Standard Model Kit. This Goku is a special version of Super Saiyan God Super Saiyan based on the Dragon Ball Z: Broly – The Legendary Super Saiyan movie. Goku's hair has had a special effect added to it along with a special package that resembles scenes from the movie. 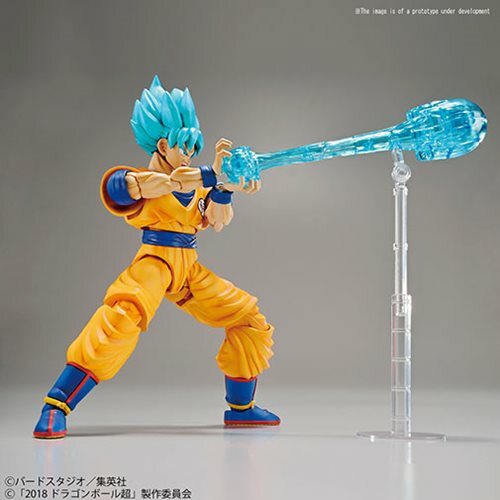 Goku comes with 2x types of Kamehameha effect parts. 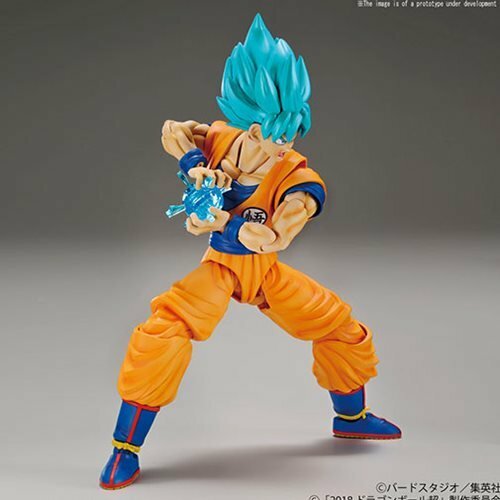 The Dragon Ball Super SSGSS Goku Special Color Ver. Figure-rise Standard Model Kit includes 6x Runner, 1x Stickers, 1x Saiyan Special Sticker, and 1x Manual. Measures about 6-inches tall.